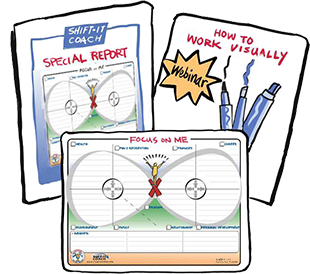 I’ve been a Visual Practitioner for 22 years now and a trainer of Visual Skills for 17 years. I’ve educated A LOT of people about the strategy of and joy of Working Visually … and personally trained 2500+ from across the globe. It’s a fascinating field, with warts and all like any field. 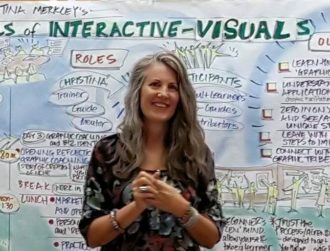 Having trained so many folks, I know that taking a beginner training in Graphic Recording and/or Graphic Facilitation is a good first step. And its only that, a first step. If you are really serious about weaving these powerful skills into your internal job or external independent practice … well, it helps to gather with like-minded colleagues, receive support, and keep on going! 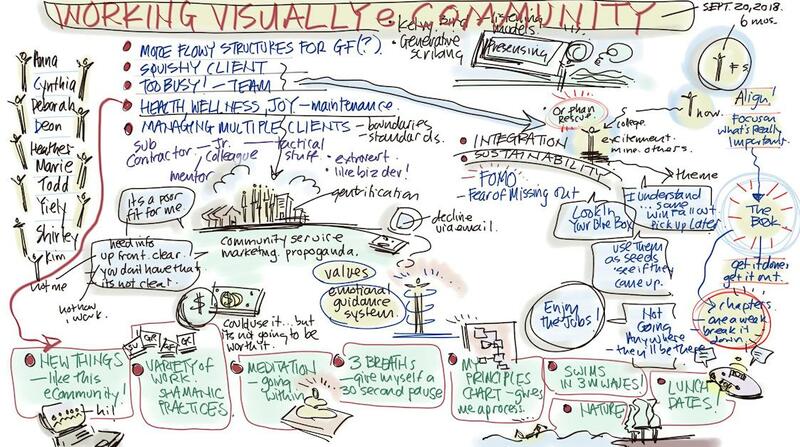 To help my students do that, I host The Working Visually eCommunity. A monthly, online gathering that is FREE for grads of my various visual programs: Fundamentals of Working Visually (beginner), Magic Marker Masterminds (advanced), Visual Coach Certification, In-house Trainings and Private Trainings. If you are a grad, check your SHIFT-IT School Membership as the eCommunity should be in your list of courses. If its not, just write my assistant Patricia at admin@shift-it-coach.com and she’ll hook you up with the coupon to zero out the fee when you register. We send reminders each month when the free Drop-In Webinar is happening. 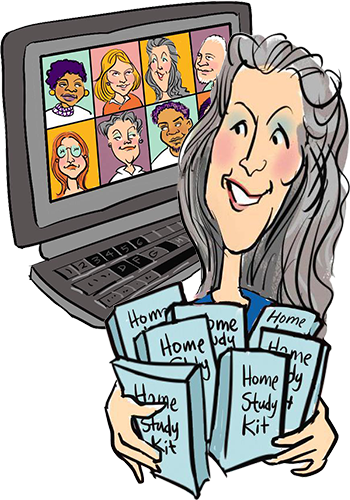 The Working Visually eCommunity includes a monthly, 90-Minute Drop-In Webinar, a Video Library of all past gatherings, as well as a handy Online Forum to communicate at any time (ask questions, share resources, post work, receive feedback, etc.). If you are looking for even more support on a weekly basis, with a set cohort, see The Magic Marker Programs for weekly cohorts and in-person intensives. Yesterday, I hosted September’s Monthly Drop-In. We had a great turnout with folks from North America, Europe and two from Africa! We may be sprinkled around the world, however our common love of Working Visually brings us together. Every Drop-In is different. A different configuration drops by each month and the topics of our agenda varies too. The agenda is co-created by those present. While I’m facilitating the gathering (and also doing spontaneous Process Work where needed) I take basic notes on my digital tablet as we move long. Sometimes they are better than others, haha! Like any Graphic Recording, its one of those ‘you had to be there’ kind of things where the notes make sense to those who were present during their creation. But in any event, here are this month’s notes. 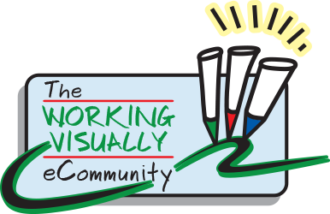 Next Gathering of The Working Visually eCommunity is: Thursday, October 25, 2018. 11am-12:30pm pacific.